Sometimes, even when I have everything organized, have the right tools, and there are no other distractions… I still don’t get much accomplished. This usually happens when I don’t have a plan for my studio time. This scenario is exaggerated but you can see how inefficient it is. This article will show how I try to avoid this kind of inefficiency by planning ahead. There’s a saying about all work and no play… So, sometimes your plan can be: “Don’t have a plan.” It’s important to take time to explore, and play, and try new things. If your studio time is always “crank out work as fast as you can” it’s easy to get burnt out and lose your passion. 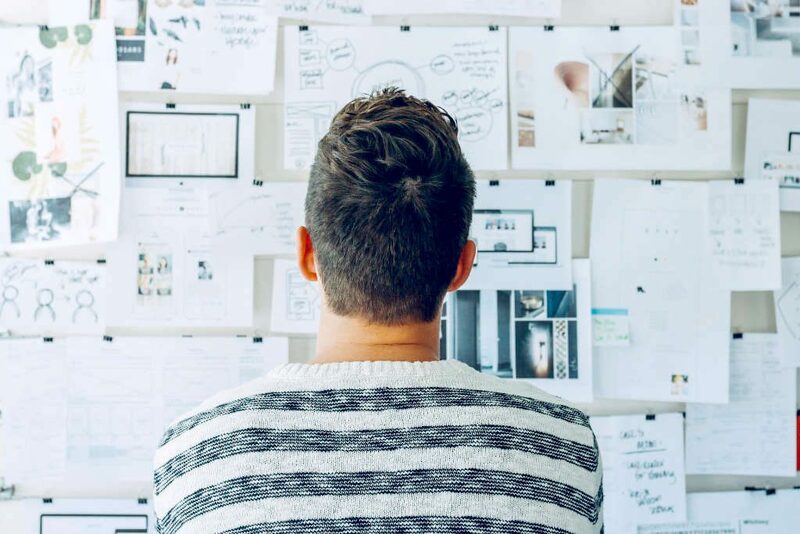 But if you have deadlines for orders or limited time due to other commitments, having a specific plan can help you get more accomplished in less time. Below you’ll see the process I use to make the most of the time that I have in the pottery studio. The first thing I do is write down everything I need to get done. An order for 50 mugs? A set of mixing bowls? Restocking inventory for a couple different forms? Glazing 100 ornaments or a bunch of shot glasses to fill space in the kiln? I have a whiteboard in my studio where I put my “to make” list so I can see it easily. 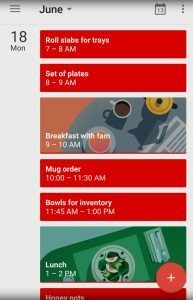 When I get a new order or look through my inventory I usually take notes on my phone. Then I can quickly transcribe orders to the whiteboard when I get to the studio. When I have everything listed I decide what to work on first based on nearest deadlines or drying times. Now that I have a decent amount of experience, I know about how long throwing each kind of pot takes. And I know about how long it takes to pull a certain number of handles and attach them. Same idea for glazing. If you don’t know how long it takes you to finish certain things you can make an estimate to begin with. Then you can adjust as needed when you see how long it actually takes to make things. You don’t have to time every single thing you do. If you can throw 10 mug forms in an hour, just multiply the number of mugs you need by 6 minutes and you’ll know about how much time to schedule for throwing the mugs. If you’re closer to a beginner than a master potter you may want to factor in losses. I know that every once in a while I get too aggressive for a certain form and it collapses on the wheel. Or sometimes a pot will develop a crack in the bisque fire or a fault in the glaze. If I know that these kinds of things happen I can plan enough time to make extras. In one of my favorite episodes of the MudTalk Podcast, time management was one of the hardest things about being a potter. It can be pretty overwhelming but with practice you can improve the way you manage your time. Once I have an idea of how long certain things take I set up blocks of time. Plates dry slowly so I usually start with those so they can start drying while I’m throwing other things. Next, I may make mugs. As I wait for the mugs to firm up before adding handles I can throw some bowls. Since I know how long each of these tasks take, I can schedule my blocks of time around meals or breaks and line them up so some pots are drying while I’m throwing new pots. As I plan out these blocks of time, I put them into my calendar app and set up notifications to keep me on track. When I know I’m up against the clock I stay much more focused. I also get a psychological boost when I work in blocks of time. Even when I have to do something that I don’t enjoy as much, my mental state is often better because I know I only have to do it for a certain amount of time. One thing that I’ve found that also helps me is to set up my schedule for bursts of full work mode and then some short breaks to recharge. So, for example, I set my schedule for 2 hours to throw a certain number of pots and then schedule a ten minute break. That way I can stretch, stay hydrated, and reset myself for the next block of work. I seem to be more efficient with certain forms over a long period of time and other forms I need more frequent breaks. 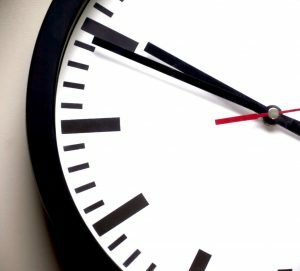 You may have to experiment to see what kind of times give you the most efficient output to minutes-worked ratio. The biggest benefit of sticking to a schedule is to avoid all the waiting. 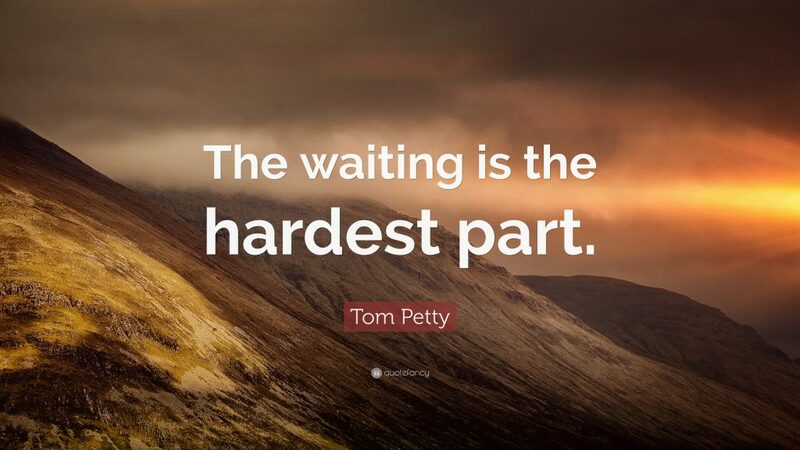 Even Tom Petty knew that waiting is the hardest part. Waiting for clay to dry, waiting for the kiln to fire, waiting for the kiln to cool… When you know how long these things take you can schedule the work that needs to be done for the next, or previous, round of pots while the current pots are drying or firing or cooling. As I get ready to leave the pottery studio I make sure that I know what I’ll start with when I come back. Sometimes it’s as simple as knowing what’s next on my long list of pots to throw. Sometimes I think about a whole schedule for the next day. I may even wedge and weigh out clay for the pots that I’ll make next so I can sit down at the wheel and get started right away. The whole goal is to avoid sitting around thinking about what I need to do instead of getting some work done during my limited time in the pottery studio. You can also read the other articles in the series: Make the Most Of Your Time in the Pottery Studio. 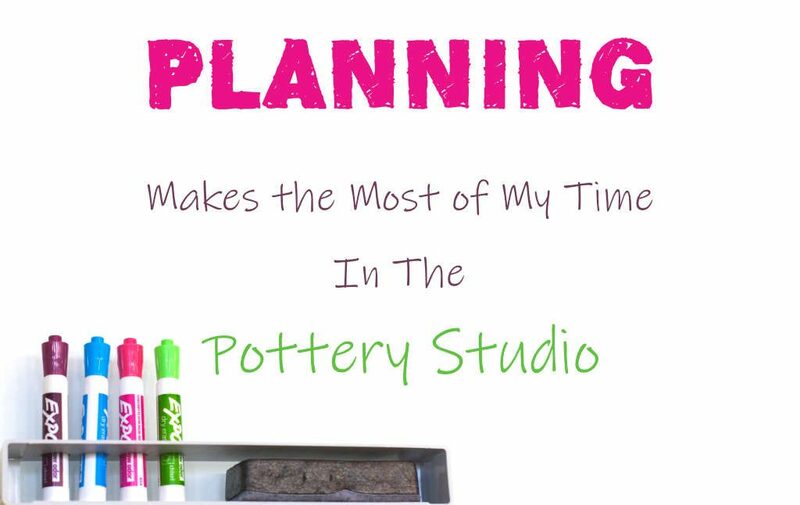 Do you ever make a plan for your time in the pottery studio? How do you schedule your work time? Do you have any tips to make the most of your time? Leave a comment below or hit up the Expert Clay social media accounts and let us know!